1. Eugene Katchalov Wins PCA $100k Super High Roller. Eugene Katchalov bested Daniel Negreanu during heads-up play to take down the $100,000 Super High Roller event at the 2011 PCA earlier today. Katchalov walked away with $1.5 million after taking down the event, while second-place finisher Negreanu ended up walking away with a very respectable $1 million. The flop came Ac-8s-Ts, and Negreanu looked poised for a crucial double-up. The turn brought the 4s, giving Katchalov a set of Fours. The river brought the 2c, giving Katchalov the pot and the $1.5 million payday. The top five spots in the event paid out, meaning that Demjan and Lichtenberger had to suffer through 2+ days of play in the event only to end up walking away empty-handed. Thanks to his second place finish in the event, Daniel Negreanu has passed Phil Ivey on the all-time tournament money list and is now in the top spot. One of the worst-kept secrets in poker was finally revealed today - "Isildur1" is Viktor Blom. 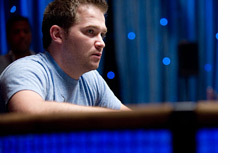 The poker world has been asking the question "Who is Isildur1?" ever since the Swedish-born player burst onto the high stakes scene in 2009. The mystery can finally be put to rest, as "Isildur1" has stepped out of the shadows and into the spotlight. You can read about Blom finally admitting to being "Isildur1" in this Pokerstarsblog.com posting titled "Viktor Blom Cops To His Secret Identity". If you want to know more about "Isildur1", then you should definitely give this article a read.